I have a BIG feeling that Florentas and Combomax are accomplices in scamming. I unfortunately don't have the conversation where Florentas added the fake MM to the convo, but in the pictures you can clearly see it is not genuinely Rage. And the situation with combomax, I just blocked him due to reports already out against him at the time. 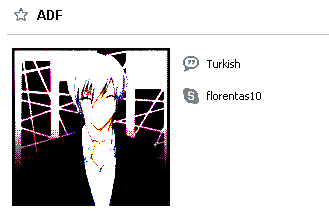 Not only are they both Turkish, but they both set Saint-Lucia as there country of choice on skype so there is definatley a connection between them. I formally apologize if anyone has been scammed by Florentas, because if I had done this earlier he would have been banned already. This conversation occurred around Tuesday, July 16, 2013. I hope appropriate action will be taken against him. EDIT: I can see he was banned, thank god. Again, I REALLY apologize for the late report, I definitley should have reported this right away, as this would've been a much better way to tackle things. Next scammer(s) I get i will be sure to make a report right away. Last edited by mschulze; 07-21-2013 at 09:06 AM. Yeah he's banned, but thanks for the detailed report!